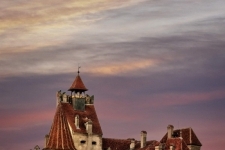 Bran Castle (German: Törzburg), situated in the immediate vicinity of Braşov, is a national monument and a landmark in Romania. 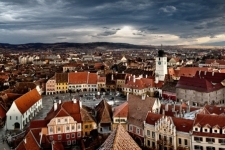 The inhabited medieval fortress of Brașov is one of the few medieval fortresses in Europe which is still inhabited on its old settings. Inscriptions painted with red and black can be found inside the tower. 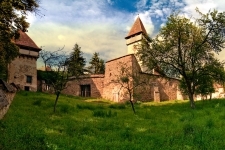 The Fortified Church of Cața still preserves intact, the so-called Tower of Lard, where the inhabitants used to keep their lard so that during longer sieges they could survive within the fortress. 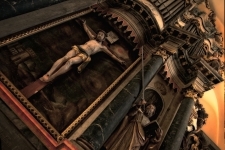 The exterior adds a special feature to the fortification system of the Saxon churches through the defense level, built on consoles towards the end of the fifteenth century in a fachwerk system of wood and timber. 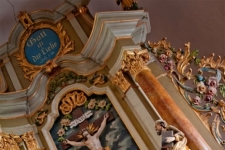 The ceiling is made of 252 square coffers which are decorated with different versions of the rose of Martin Luther or Lutherrose. 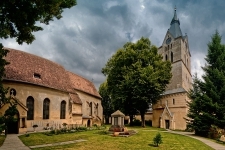 Due to its partial demolition and for its extension, in the first half of the XIX century the church was rebuilt in the neoclassical style (an architectural style specific to Transylvania). 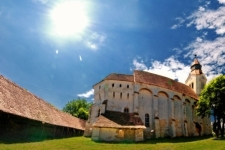 In 1466 the basilica in Criț is mentioned in documents, but nothing has remained from the original building. 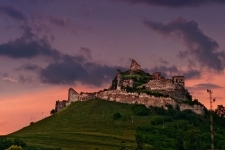 Făgăraș Fortress is the most grandiose monument of the region and one of the largest and best preserved historical monuments of Romania and even Europe. 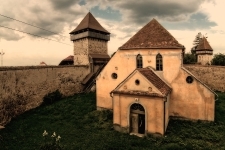 Fișer fortified church is distinguishing itself by the Renaissance paintings found inside the church. 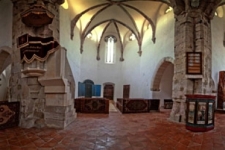 The fortified church in Ghimbav is the only Evangelic church in Transylvania which is completely painted in its interior. The painting has more floral than religious motives. The church is surrounded by high walls equipped with seven defense towers. In the thirteenth century the villagers moved, due to strategic defense security and because the water spring was too far away, to the base of the “hill” (ham) which they then “deforested” (roden) giving their new site the name, Hamerodia, as first mentioned in 1400. 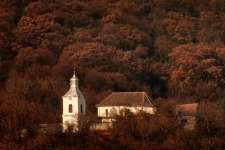 Unlike most of the fortified churches in the region, which are Evangelic, the church in Ioneşti is Unitarian. 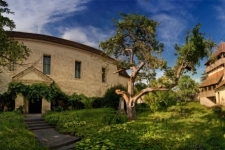 The uniqueness of the fortification in Jimbor is given by the fact that it is different from the similar constructions in the area. 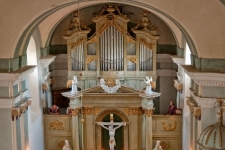 Plastic architectural elements that still confirm that late Gothic church originally can be observed. The tower from the northeast part of the precinct was known as The Lard Bastion. 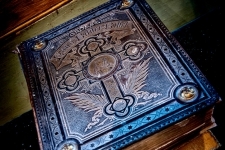 Some special items are the wooden galleries made by Johannes Philippi and painted by Petru Orendt from Meșendorf (1701). 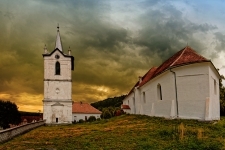 The Prejmer fortified church is a UNESCO World Heritage Site. 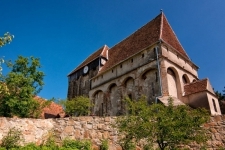 The largest fortified church in southeastern Europe, Prejmer (Tartlau) has the walls thick as five meters at their base and 12 meters high. 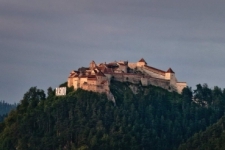 Recently, the old fortress has been restored to its former glory and today, the tourists can visit the impressive fortress, which is housing a museum where the main attraction is a skeleton buried beneath a glass floor. 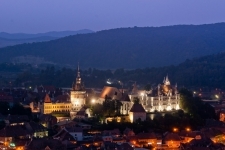 Its massive fortification began in 1494 when the villagers received 8 florins for the construction of the fortification in Roadeș. The church was fortified with a six meter high mantle wall defended by a moat and supported by buttresses. 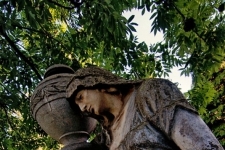 The most amazing is the story of the fountain which is as old as the fortress: if a couple will drink from this fountain will know eternal love. The story also tells that here, at Rupea, is where the king of Dacia committed suicide. 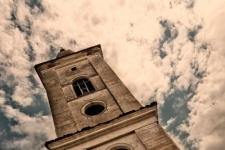 The story tells that first, the tower was built and then the church. The tower was used in case of assail and its entrance was found three meters high. If someone was left outside during assail, he was lift up by a rope. During the war between the Turks and the Austrians in 1664, Lord Grigore Ghica was on the Austrian side. After the war, the lord had to flee to Poland. 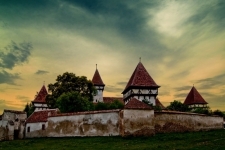 His wife, Lady Maria, travels through Transylvania, where she comes under the protection of Prince Mihail Apafi and is sheltered for a longer period in the Racoș Castle. Here, the son of Lady Maria is born. The Request of the Turkish Empire to send Lady Maria along with her riches at Constantinople is rejected by Prince Mihail Apafi. For the construction of the fortification, Roman stones were used which originated from the ruins of a Roman camp situated on the River Olt. In the portal of this church lions heads are walled. One of these lion heads is nowadays kept at the Brukenthal museum in Sibiu. 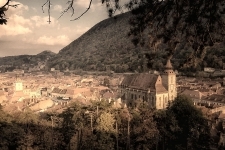 Isolated from the main road which links Brasov to Sighișoara, the village of Viscri shelters one of the most spectacular Transylvanian Saxon fortified churches (UNESCO heritage). 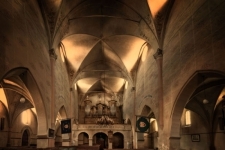 It seems that the church in Vulcan is the only one from Bârsa Country which has assigned a time to its foundation: above the gate there is an inscription which says that this church was founded in 1521.